Valet parking is conveniently located at Waikiki Beach Walk. Ruth’s Chris Steak House (Hawaii) offers the Sizzlin’ Prime Time Dinner Special featuring a 3-course menu starting at $39.95 plus tax & gratuity. 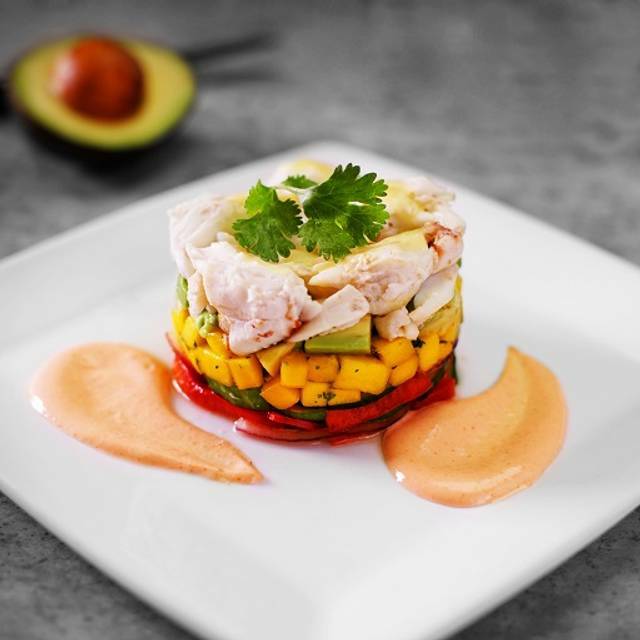 )Served nightly from 5-6pm. Also, join us in the lounge for Happy Hour from 5-7pm. Let us help you plan your event. From small gatherings to up to 150 guests, Ruth's Chris accommodates large groups for any occasion. Ruth's Chris Steak House is available for exclusive buyouts and private lunch functions. Minimums apply. Welcome to Ruth's Chris Steak House. When you visit Ruth's Chris, you soon understand that this is no ordinary restaurant. From the USDA prime steaks, broiled to perfection in a trademark 1800 degree oven and served on a plate heated to 500 degrees, to the expertly executed seafood, island fresh fish, New Orleans inspired appetizers, unforgettable dessert and an award winning wine list, you will find that this is the steak house to which others aspire. 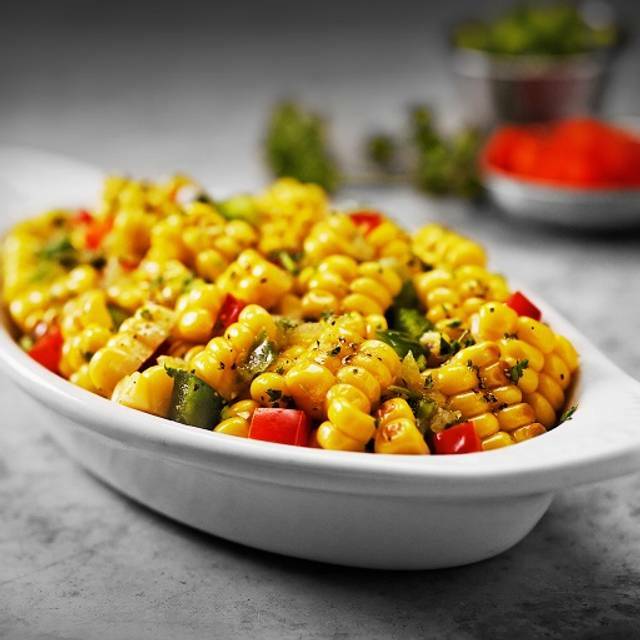 Fresh, prepared-to-order and internationally inspired. Our calamari is lightly fried and tossed with a sweet and spicy Asian chili sauce. Sauteed New Orleans style in reduced white wine, butter, garlic and spices. 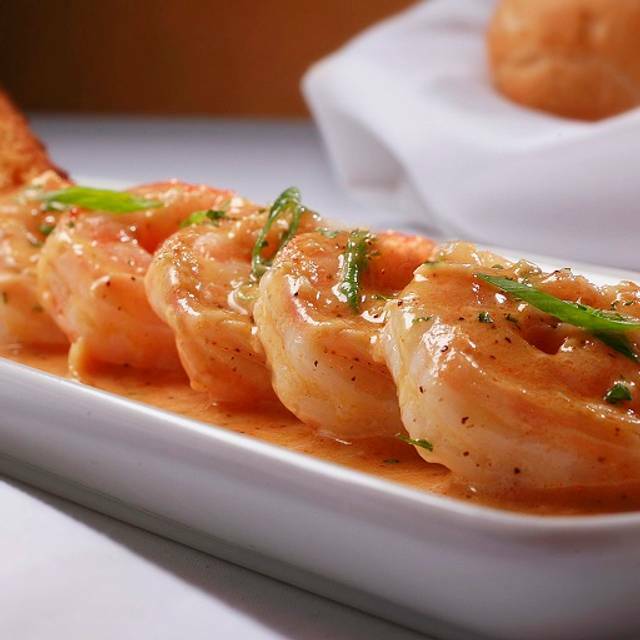 Jumbo shrimp dressed with your choice of our classic creole remoulade sauce or our spicy New Orleans homestyle cocktail sauce. Broiled mushroom caps with jumbo lump crab stuffing sprinkled with Romano cheese. Saffron-infused pasta filled with veal osso buco and fresh mozzarella cheese. Served with sauteed baby spinach and a white wine demi-glace. Lightly fried and tossed in a spicy cream sauce. Fresh produce and quality ingredients for an exciting start to the meal. A sliced beefsteak tomato on a medley of lettuces. Topped with sliced red onions, vinaigrette and bleu cheese crumbles. Iceberg, Romaine and baby lettuces with cherry tomatoes, garlic croutons and red onions. A Ruth's Chris original. Julienne iceberg lettuce, baby spinach and radicchio are tossed with red onions, mushrooms, green olives, bacon, eggs, hearts of palm, croutons, bleu cheese, lemon basil dressing and then topped with crispy onions. Mixed greens with roasted corn, dried cherries, crispy bacon and tomatoes in a white balsamic vinaigrette, topped with goat cheese and Cajun pecans. A crisp wedge of iceberg lettuce on field greens, topped with bacon, bleu cheese and your choice of dressing. Hand-cut fries and vegetables prepared fresh every day. With a honey Thai sauce. Caramelized with a touch of sugar. Our Creamed Spinach, served au gratin in a cheese sauce topped with melted swiss & sharp cheddar. Steamed and served au Gratin in cheese sauce topped with melted sharp cheddar. sauteed with a hint of butter. Extra thin and crispy (pommes frites style). A Ruth's favorite, chopped spinach in a New Orleans style cream sauce. 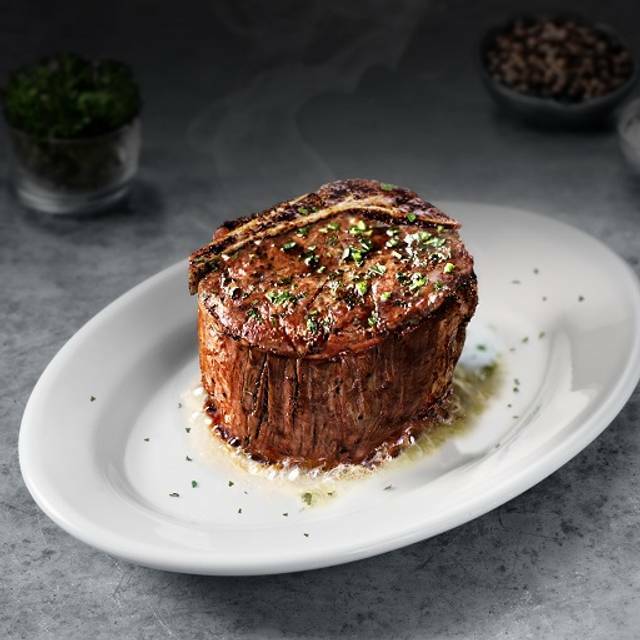 USDA Prime served sizzling on a 500° plate - every bite is as delicious as the first. The most tender cut of corn-fed Midwestern beef. A huge bone-in version of this USDA Prime cut. A full-flavored, classic cut of Prime beef. This USDA Prime cut has a full-bodied texture that is slightly firmer than a rib eye. Fresh meats and seafood delivered daily. Two 4-ounce medallions of our filet topped with jumbo shrimp. Three chops cut extra thick, served with fresh mint. they are naturally tender and flavorful. Oven roasted free-range double chicken breast stuffed with garlic herb cheese and served with lemon butter. Fresh whole maine lobster, ranging from 2.5 to 5 pounds. 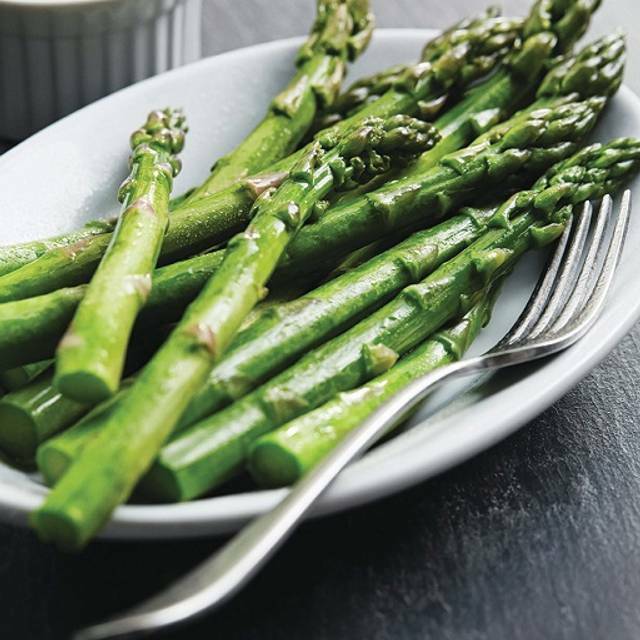 With blackening spice and topped with lemon and drizzled butter. 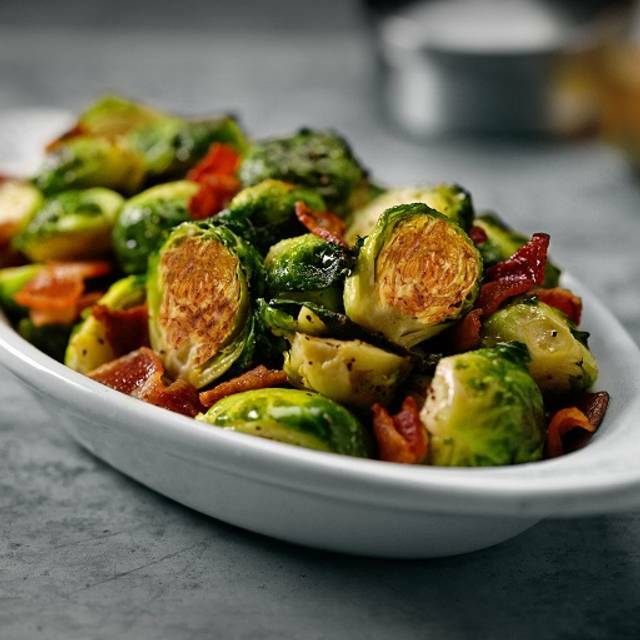 Create the perfect vegetarian entree by choosing three of your favorite Ruth's Chris side items. Your server will describe the seafood our Chef has selected for today. Our desserts vary by location and are homemade daily by our expert pastry chefs, using the freshest local ingredients. 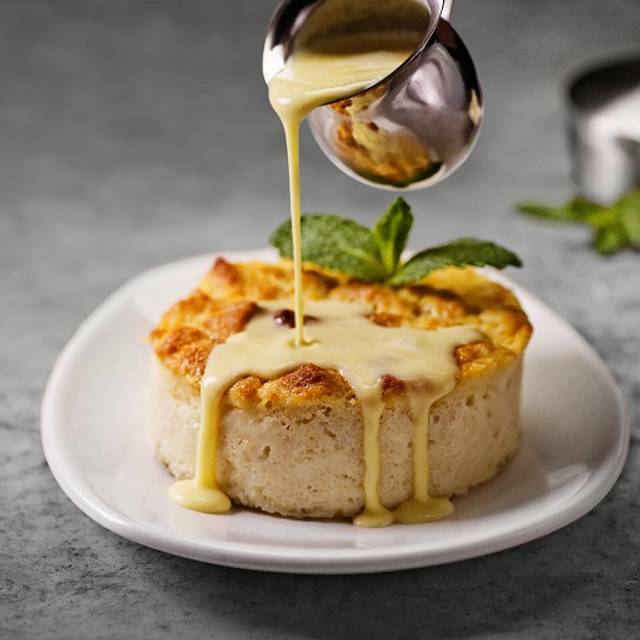 Creamy white chocolate banana custard in our flaky crust. Topped with caramelized bananas. Creamy homemade cheesecake served with fresh berries. Our definitive version of a traditional New Orleans favorite. 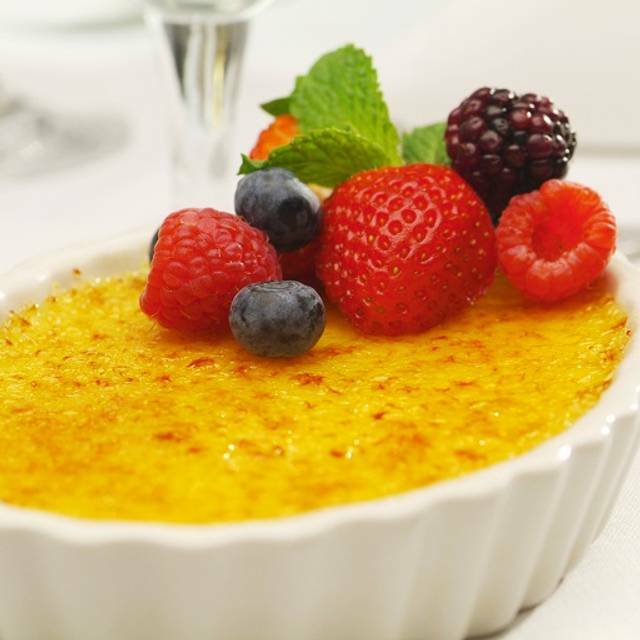 The classic Creole egg custard, topped with fresh berries and mint. A celebration of natural flavors. Simple and simply sensational. Super premium ice cream or sorbet. We’re open early on Easter. 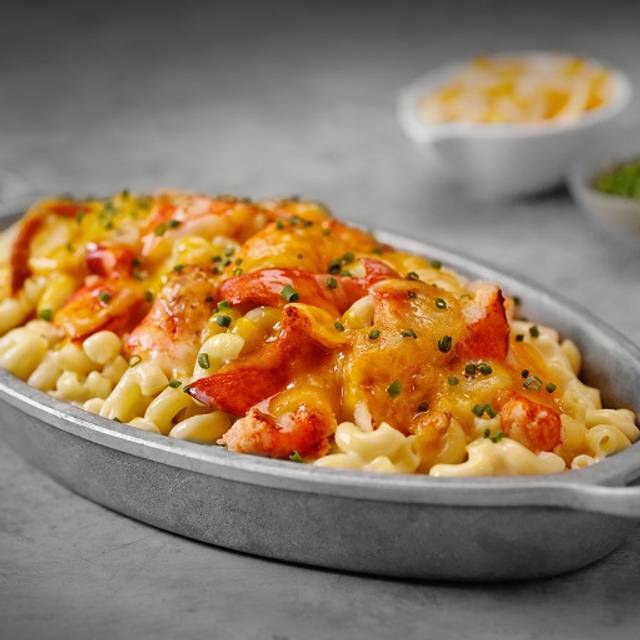 Bring your family and friends and celebrate featuring our Seasonal Classics menu, starting at $45.95-$47.95. You can also enjoy our indulgent Surf & Turf* — two buttery lobster tails served next to a filet or ribeye starting at $49.95. The meal and table service is great however the ambience destroys an otherwise delicious dinner. Our entire evening was overshadowed by crying and screaming young children which may be acceptable in other cultures but not in a fine dining American restaurant. After calmly talking to management it was apparent that the families with tired and upset children would be accommodated at the expense of every other patron. Somehow spending $250 on a meal for 2 and walking out upset has set the tone and we will not be back. It’s too bad. I made good memories. The steak and wine were so delicious. It was the best dinner. Chrissy was a delight! Lovely girl with a shining personality. A real gem for you to have. Great steaks, but very expensive. Over US$200 for 2 people, keep in mind the exchange rate for international visitors. Food and service was very good, if you can justify the cost. so much quantity. If you feel like full already, you should share 1 steak for 2 steak. I visited this restaurant for my honeymoon. All wokers are very very kind and nice. I had real nice dinner. The food and service were both amazing. Hubby couldn't stop eating and was in a self-induced food coma, saying how full he was as he kept eating. The service was seriously the best!!! Pros: Excellent service. Convenient location. Awesome sweet potato casserole. Cons: Toughest and worst rib-eye I’ve ever had. Needs new bread recipe... bread tasted stale. Sides were better than the steaks. Favorite place for date night or to celebrate. The filet mignon is always perfect, as are the drinks. Would recommend to anyone and everyone. Great dinner for my son’s birthday. Mitch and Greg are the best! Food was really good. I want to recommend to my friends. Our waiter Makina was excellent!!! Made our dinner a very enjoyable experience!!! Food was excellent as always!!! It was nice and very kind that the restaurant celebrated our 10th wedding anniversary surprisingly ! foods and servises are excellent. Too many Japanese customers. Very noisy. Slow service. Other Ruth Chris locations are better than this. Always enjoy my visits to this location. We had the best servers.